Every food has different calorie value and different effect on our body and feeling of hunger. Therefore there are certain foods that are quite beneficial for weight loss. Not all foods go through the same metabolic processes in the body. On top of that food has different effect on calorie intake, hunger, hormones or burning calories for that matter. Allow us to present 10 weight loss foods that are highly recommended by science. Whole eggs were considered bad for your health due to the high cholesterol levels, but recently, eggs have proven they are safe to consume. Recent studies have indicated that they don’t affect our cholesterol and furthermore are the best food to consume to lose weight. High in protein and healthy fats, whole eggs can make you feel full and delay the hunger for hours. When discussing leafy greens we are referring to kale, spinach, collards, swiss chard and a few others. The main component in them responsible for losing weight is their water and fiber content. If you feel the need to add volume to your meal, leafy greens are the best way to go. On top of this they are full with all sorts of vitamins, minerals and antioxidants. This includes calcium, which has been shown to support fat burning in some studies. Oily fish like salmon are incredibly healthy and full of omega 3’s that do wonders for your body. On the other hand, consuming Salmon on regular basis will keep you quite satisfied and full for several hours, due to the fact that is full with high quality protein, healthy fats and also contains all sorts of important nutrients. This is not a recommendation for salmon only, but fish in general. From the category of vegetables we can recommend broccoli, cauliflower, cabbage and brussels sprouts. The reason so comes from their high fiber content and the feeling of fullness they create in our stomach. The shocking information regarding these types of vegetables comes from the fact they contain a good amount of vegetable protein. Meat has a bad reputation for sure, being blamed for all sorts of health problems, despite the fact there is no good evidence to back it up. Although processed meat is proven to be unhealthy, studies show that unprocessed red meat does NOT raise the risk of heart disease or diabetes. The truth is that meat is a weight loss friendly food because it’s high in protein. Protein is the most fulfilling nutrient and besides the fact that proteins are the building blocks of muscles, they can make you burn up to 80 to 100 more calories per day. In recent years there’s a tendency for reducing consumption of boiled potatoes. But that trend has neglected the properties of boiled potatoes that make them a perfect food, both for weight loss and optimal health. Also, there have even been accounts of people living on nothing but potatoes alone for extended periods of time. Potatoes are particularly high in potassium, a nutrient that most people don’t get enough off and plays an important role in blood pressure control. When you boil the potatoes, then cool them off for a while, they will form large amounts of resistant starch, a fiber-like substance that is not digested by the body, it slows down digestion of other foods and has been shown to have all sorts of health benefits, one of which is weight loss. Tuna is known as low-calorie, high protein food with not much fat in it. Like salmon, tuna is also rich in Omega 3 fatty acids. Tuna is actually quite popular among bodybuilders and fitness models who are on a cut, because it’s a great way to keep protein high, with total calories and fat low. 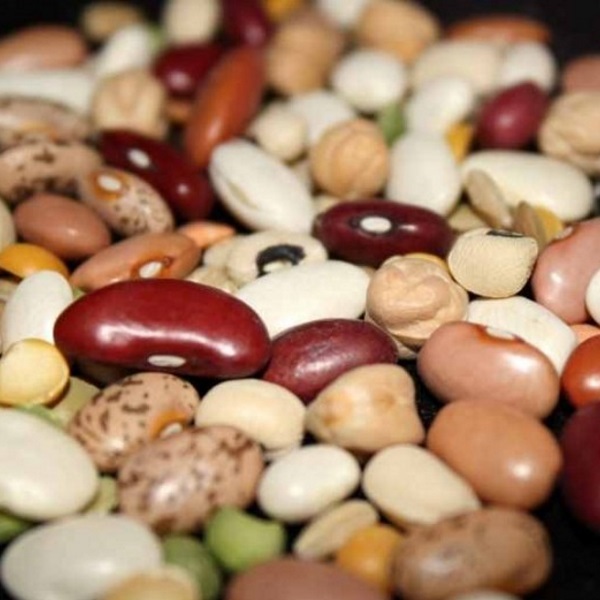 Not all but some beans and legumes can be beneficial for weight loss. Those are lentils, black beans, kidney beans and some others. The reason for their high importance for weight loss is the fact they are high in protein and fiber, which are two nutrients that have been shown to lead to satiety and keep hunger at bay. As a general rule meals and diets with low energy density tend to make people eat fewer calories. When referring to low energy density we mean those that contain lots of water, such as vegetables and fruits. But you can also just add water to your food and doing so, by making a soup. Some studies have shown that eating the exact same food, except made in a soup instead of as solid food, makes people feel more satisfied and eat significantly fewer calories, simply because the stomach fills with more water. Eating a bowl of soup before your main meal is a sure way to eat less calories with the main meal. Dairy products are known to be high in protein and calcium, and for sure one of the best ones is cottage cheese which is mostly just protein and water with very little carbohydrate and fat content. If you choose calorie dense foods, you can stay within calorie goals while eating a more reasonable portion. Cottage cheese belongs to this group because it has such a high amount of water. Foods with an energy density score of 1.5 or less are low energy dense foods. Cottage cheese has a score of 0.7 to 0.8. Should I Track My Macros?